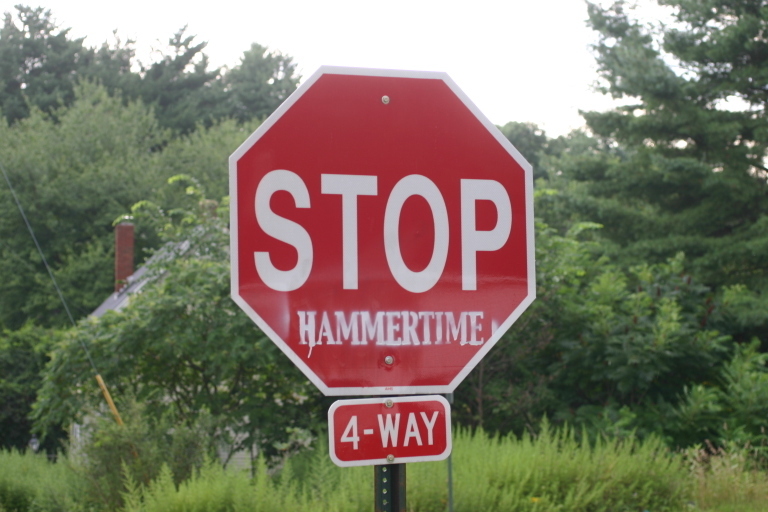 As I noted last year, the city of Cranston, Rhode Island, had a puzzler on its hands after it came to the city's attention that there were hundreds of unauthorized stop signs on its streets, installed by a person or persons unknown. At the time, the mayor said his staff was still researching what to do, but that the city would probably pass a special ordinance giving legal effect to most or all of the signs. According to a report today, it is likely to do just that. The Providence Journal reports that a committee was to meet today (February 7) to consider proposed ordinances that would legalize 587 "undocumented stop signs" (a strange term that sounds like they think the signs are illegal immigrants) and seven "rogue yield signs" (a term I just made up). Twenty-one undocumented stop signs and two rogue yield signs installed by the state without local approval would reportedly be removed. A similar ordinance was proposed last June, but the city council rejected it 5-4, with the majority saying it was not willing to authorize the signs in bulk without gathering further information. Three city workers were then assigned to drive around and look at 2,595 signs and checking each one against a map to determine which were the 1,903 that had been officially approved. The mayor's office presented its report in November. Assuming the three sign-checkers started this project in July and finished at the end of October, that's about seven signs per day per person. It's tempting to say that this is not a very impressive rate, but I imagine they were all going a little crazy by sign number two-thousand. If the committee approves a plan today, the full city council will take it up on February 28. A city official said they believed that the mystery signs had been put up by "housing developments over the years" that had not followed the right protocol to codify the signs. Translation: they have no idea. I prefer to think that they all just appeared one night, like crop circles, and so that's the explanation I'm going with.